Published January 14, 2014 at 190 × 300 in Thailand. 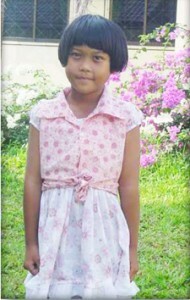 Fah was born on February 11, 2005 into a poor family. Her mother collects garbage and was found to be HIV positive and therefore unable to take care of Fay. She will be attending Year 2 in primary school.